Course facilitators and nutrition experts Sue Mah and Lucia Weiler bring over 45 years of combined experience in nutrition marketing, regulatory affairs, strategy and communications. As one of Canada’s leading media dietitians and nutrition writers, Sue is a pro at decoding nutrition science into insightful business marketing advice and communication strategies for national and international food industry clients. She is a nutrition trends expert, skilled media spokesperson, engaging speaker, and author of numerous nutrition education resources for health associations and brands. From coast to coast, Sue has appeared in hundreds of media features, and served as the in-house dietitian expert on eight TV shows. She is passionate about sharing evidence-based nutrition information to inspire and empower Canadians to enjoy delicious, wholesome food. In recognition of her excellent and innovative work, Sue was selected at the 2017 Dietitian of the Year by the Dietitians of Canada Business and Industry Network. President, Weiler Nutrition Communications Inc.
Lucia is a passionate nutrition communications professional who specializes in marketing, education and regulatory affairs related to food and beverages. With extensive experience in innovation and strategy development Lucia leverages her food science and business building expertise for clients. As a Registered Dietitian and Professional Home Economist, Lucia is a pro in the development and execution of inspiring nutrition advertising and educational programs that are food forward and legally sound. She is committed to integrating food, nutrition and the culinary arts and is a trusted partner in workplace wellness and food labelling programs. 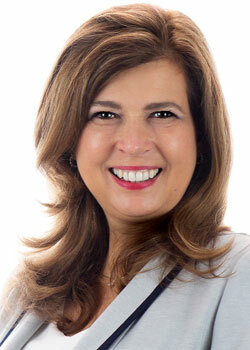 Lucia is a food trends expert, media spokesperson and food industry leader. 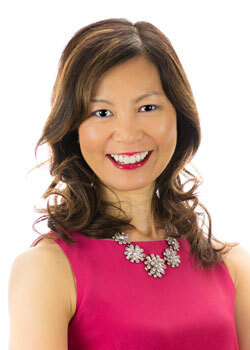 She is faculty at Humber College and Member of the Board of Directors for Dietitians of Canada.